In essence because oil prices are so low ships are avoiding using the Suez and Panama canals and going the extra miles around the Cape of Good Hope and Cape Horn to save paying the toll on using the canals. Shipping charter rates are so darn low that wasting the extra time for the far longer journey and paying the extra fuel is far less than paying the toll to the Egyptians or the Panamanians. 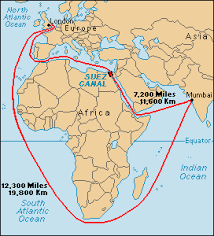 Of course the solution is to lower the toll to use the Suez or Panama Canals to levels such that it is more economical to use the canals rather than making the far longer voyages. There have been over 100 voyages that went the longer routes and each voyage emitted an extra 6,500 metric tons of CO2. This is equivalent to adding 100,000 cars to the road. Also bunker C fuel for ship engines is full of sulfur and these ships spew acid rain forming gases of SOx and NOx. Eventually the price of oil will increase and hopefully very shortly the Egyptians and Panamanians will lower the tolls on their Canals. Sadly for Egypt and Panama they each spent many billions of dollars expanding their canals thinking China would expand at a fast pace and shipping would boom for a long time to come. These are two very poor countries and revenues from their canals are a large part of their economies. 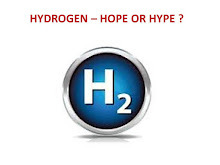 In 2003 I wrote my book on sustainability and energy titled Hydrogen Hope or Hype? Much of the book dealt with Fuel Cells. The book was also a rebuttal to the hype of the “Hydrogen Economy”. After the billions of dollars spent on fuel cells, we now know what I knew back in 2003 that fuel cells are mainly hype. We also now know that there are large quantities of solid wastes with benzene, toluene, sulfides, and other nasty chemicals from fuel cells that use natural gas as their fuel source. Fuel cells that use hydrogen produced by others from natural gas simply transfer the generation of such toxic solid waste to the manufacturer of the hydrogen. The reason why there are large quantities of solid wastes from fuel cells using natural gas as a fuel is due to sulfur poisoning of the catalysts on the fuel cell stack. In particular solid oxide fuel cells such as Bloom Energy are susceptible to the sulfur poisoning. These solid oxide fuel cells can only tolerate sulfur content in the parts per billion. Pipeline natural gas has sulfur content in the parts per million. Hence the sulfur removal systems in fuel cells use vast quantities of desiccant filtering material to trap the sulfur in the pipeline natural gas. This has been admitted to by Bloom, a company that is now estimated to generate approximately 4,000 tons a year of solid waste in the USA that is treated at an EPA licensed hazmat site in Texas. Simply stated fuel cells are not green unless the hydrogen is produced via electrolysis of water using wind or solar power. If one has invested in a PV or wind farm it is also wasteful to convert the electricity to hydrogen as the electricity is already a useful form of powering vehicles, homes, offices, schools, or industry. I have written several blogs on why the fuel cell bus program at AC Transit is an expensive Rube Goldberg that I termed as a Rube Greenberg. Fuel cells are still very expensive and they simply are a Betamax technology in a world that needs rapid greening. I suggest you all read my book linked above as thermodynamics is identical in 2016 as it was in 2003 when I wrote the book. 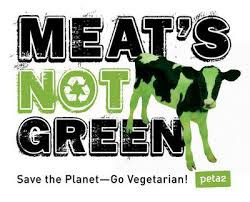 As for not eating red meat, it is probably better to eat green veggies. We have heard of screwing the pooch but now we have a case of screwing the cat in what was once part of a monogamous relationship. Unicat was Bloom's vendor to treat the waste in those sealed metal canisters. Unicat invested heavily in facilities in Texas and hired people and was looking forward to treating the thousands of tons of hazardous waste that Bloomdoggle Energy surreptitiously creates. How do we know this? Well Unicat just sued Bloom for breach of contract. Unicat was contracted to recover the copper that is in the sealed metal canisters together with all that sulfur and benzene waste. When copper prices were high (unlike today when they are in the tank or in the canister so to speak) it paid Bloom to have Unicat recover the copper. Now that copper is trading at $2 per pound it makes no sense for Bloom to pay Unicat to recover the copper. 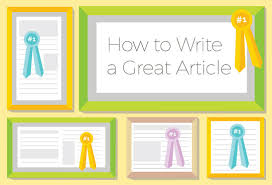 Bloom probably now simply disposes of all the contents in the sealed metal container at a hazmat site. There is also the possibility that Bloom might be “treating” the hazardous waste outside of the US to save some money. I have no evidence they are doing this but given this corrupt firm’s history of lying to gain fake permits and not paying Mexican welders it hired minimum wages, anything is possible. Even if Bloom is still using a US based EPA licensed hazmat site that they allegedly screwed the cat is pretty evident from the filing in the lawsuit. Unicat is well known and is a market leader for sulfur removal systems in natural gas. The letter I have from Bloom to the Connecticut Siting Board and this Unicat Lawsuit now pretty much gives us the full story of the solid waste with sulfur and benzene that Bloom and their cronies in government (DE, NJ, CA, UT, NC, NY etc.) and the private sector (clients like Apple, EBay, Google, Walmart, Target, Coca Cola, Morgan Stanley, AT&T etc.) have hidden from us. Bloom is the largest ecofraud since Love Canal and we have to recover the over $1 billion of taxpayer and ratepayer money that was given to Bloom in their pretense of generating cleaner and better electrons. Bloom generates dirty, unreliable, and very expensive electrons. I have informed Bernie and Donald about the Bloomdoggle. Donald said this is HUGE. Bernie said what do you expect from a billionaire like Doerr, corrupt banks like Morgan Stanley and Credit Suisse, and the idiot without good judgement Colin Powell who took us into the war in Iraq. Screwing the Unicat was invented by KR Sridhar the CEO of Bloom who told us nonsense that he invented the Bloom Box from work he had done at NASA for living on Mars. 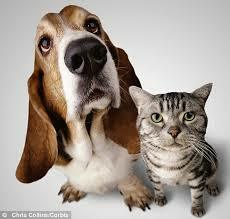 Mars – Mercury – Dogs – Cats it all comes down to one thing. Greed !! The President of the United States has proposed $10 per barrel fee on oil used in the United States. Mr. Obama made the announcement on February 4. I agree there should be a fee on oil and that $10 per barrel is not as large a fee as I would have proposed but is a correct policy. The proposed fee is only approximately 24 cents a gallon as there are 42 gallons in a barrel. What always worries me is that the revenue collected from the fee will simply be wasted. The US Department of Energy is notorious for funding bad projects and wasting money. The waste goes back through 40 years and has happened whether the Republicans or the Democrats held the presidency. This is why I refer to the Department of Energy as the Department of Entropy. Using the $10 per barrel fee, I estimate that $60 billion a year of revenues could flow to the US government. The Green Machine could make good science happen with this type of funding. No silly projects like Solyndra, Ivanpah or Bloom Energy would get a cent from a department of energy that I would run. I would give any new buyer of a standard hybrid a tax credit equal to the difference in the price of the hybrid versus the price of a similar sized non hybrid vehicle. I would give folks who carpool, vanpool, or take public transport a subsidy of $50 a month. For those taking public transport the $50 would be used to lower the cost of a monthly pass on any registered transit or bus agency. Even if 20 million people became capoooligans , vanpooligans, or public transitooligans this would only cost $12 billion of the $60 billion the fee would raise. With regard to alternate energy technologies not a cent would be given to Cellulosic Ethanol. This technology simply does not work. The US Department of Energy promised us 4.25 billion gallons of Cellulosic Ethanol for the year 2016. After billions dollars of waste we will be lucky to produce 15 million gallons. The best alternate fuel for vehicles is Ethane, a technology I have successfully shown to lower CO2 emissions per mile by over 30% compared with gasoline using the same vehicle, on the same route, at the same speed, with the same driver, in the same traffic. No other fuel comes anywhere close. We can convert a standard car or light truck to run on ethane for less than $5,000. If I was the secretary of energy I would convert 5 million vehicles to run on ethane and spend $25 billion of the fee on this. The US now flares (burns) and wastes so much ethane that 10 million vehicles could be powered by this low carbon fuel. Petrochemical companies in Europe and Asia want our ethane to make more plastics. Sending them our ethane borders on eco criminality as the Ethane is such a wonder low cost vehicle fuel with high octane (107), good range, low carbon, low oxides of nitrogen, low carbon monoxide, and negligible hydrocarbons out of the tailpipe. Yes the Green Machine is gung ho for ethane. BY comparison the US DOE has wasted several billion dollars to get only 400,000 plugin vehicles on the road in six years. If I had this money I promise to have 5 million vehicles using ethane on road within five years of launch. It will be interesting to watch where the POTUS’s proposed fee on oil winds up? Sadly it will most likely become a football in the 2016 election, and I probably won’t get $25 billion to make a real dent in the CO2 emissions of vehicles using real science and the laws of thermodynamics. Had I won the big Powerball lottery I could have self-funded the Ethane business. Instead I have a worthless ticket stub and just a good idea of how to use C2H6. Yes Ethane has six hydrogen atoms and only two carbon atoms. Add an oxygen atom to ethane and voila you have ethanol. Ethane is Vodka without the O. 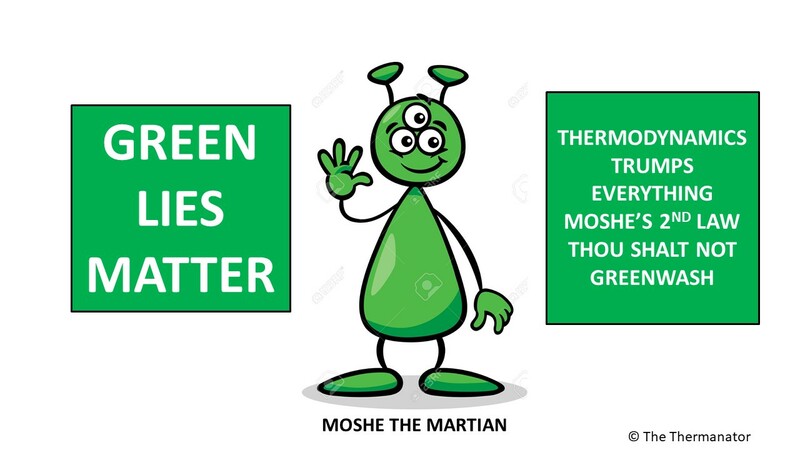 The Green Machine is a Billionaire without a Billion green backs.